Maximize confidence, reproducibility and accuracy with our extensive range of antimicrobial resistance solutions. Manually determine antimicrobial susceptibility results using Oxoid Discs, available in a variety of common and specialised compounds and in a range of different concentrations. Explore the range and find the right disk for your testing requirements. Manufactured under stringent quality standards, Thermo Scientific™ Oxoid™ Antimicrobial Susceptibility Discs ensure reproducibility and minimal variability. With over 100 antimicrobials to choose from, Oxoid Discs offer superior versatility. Accurately place antimicrobial susceptibility discs onto your media of choice when carrying out manual Antimicrobial Susceptibility Testing methods using a self-tamping Thermo Scientific™ Oxoid™ Antimicrobial Susceptibility Disc Dispenser. Available in 3 dispensing sizes. Single cartridge ejectors available too. Combine the simplicity and ease of use of the diffusion method with the accuracy of an Minimum Inhibitory Concentration (MIC) test. Firm but flexible, Thermo Scientific™ M.I.C. Evaluator™ (M.I.C.E.™) strips are easy to handle and apply to pre-inoculated agar plates. Upon application, the antimicrobial is released from the strip, forming a clear, easy-to-read zone. Each M.I.C.E. strip is individually foil wrapped for ease of use and quality assurance. 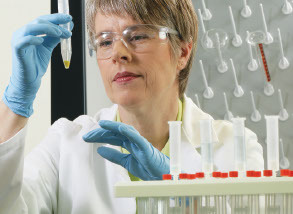 Meeting the unique testing demands of all laboratory sizes and volumes, the Thermo Scientific™ Sensititre™ ID/AST System includes a full	range of standard and custom MIC plates that allow you to eliminate offline testing while meeting CLSI and EUCAST breakpoint requirements, and FDA-established criteria. Superior quality and reproducibility for accurate results the first time, eliminating offline tests and retests. The Sensititre System utilizes 96-well microtitre plates, available in both standard and custom formats, with in-vitro diagnostic (IVD) or research use only (RUO) markings. With over 240 antimicrobials available in extended dilution ranges on a wide variety of formats, the Sensititre System allows you to eliminate supplementary offline tests while meeting FDA, CLSI and EUCAST breakpoint requirements. Combined with flexible equipment options, the Sensititre System allows you to create the ultimate test program tailored to your laboratory’s unique needs. If you want to take advantage of the superior performance of Sensititre plates, but don’t have the volume to justify automation, plates can be inoculated with a multichannel pipette and read manually with a mirrored viewbox, or as your volume increases using one of our flexible instrumentation options. Improve reproducibility of inoculum suspension and acquire accurate and reliable Antimicrobial Susceptibility Testing (AST) results using the Thermo Scientific™ Oxoid™ Turbidometer. Standardise inoculum levels and ensure accurate and reliable Antimicrobial Susceptibility Testing (AST) results. Use of a turbidometer allows a simple and quick method to enable complete control of your inoculum to the 0.5 McFarland standard. Simply calibrate your Turbidometer with a 0.5 McFarland standard, prepare your inoculum and insert into the test well. A green light will indicate the inoculum level is correct while an orange light indicates the inoculum level is incorrect. to accommodate laboratories of all sizes. Thermo Scientific Sensititre custom plate capabilities enable you to design Antimicrobial Susceptibility Testing tailored to your formulary and patient population. With antimicrobial susceptibility testing dilution ranges of your choice and the ability to update formats conveniently,	you get relevant results that are based on real-time resistance trends and local epidemiology, improving clinical success and effectively managing resistance in your institution. Through close collaboration with pharmaceutical companies, the Sensititre System offers one of the widest, most up-to-date selections of antimicrobials—enabling earlier access to new antimicrobials including Oritavancin, Dalbavancin, Tedizolid, Telavancin, Ceftolozane / Tazobactam and Ceftazidime / Avibactam. Our team of microbiology experts will guide you through the Sensititre custom plate process from design to delivery. To learn more about the Sensititre Custom Plate Design Service, please contact us to discuss your requirements. Quickly and easily inoculate, incubate and read your custom plates, with flexible instrumentation options and	robust software and reporting systems. Fully automated, benchtop incubating and reading system accommodates up to 192 tests on a single instrument, reducing workload and facilitating efficient workflow. Quickly and accurately doses 96-well plates, eliminating skipped wells and costly repeat tests. Icon-driven touch screen facilitates quick dosing selection for simple, intuitive operation. Fast, accurate, automated plate reading for maximum consistency. Quickly transfer results for processing, interpretation and reporting, improving efficiency and productivity. Inoculate plates with the Sensititre Multichannel Pipette, read manually with the Sensititre Manual Viewbox, and standardize inoculum density with the Sensititre Nephelometer. Combines automated technology with visual results, allowing you to consolidate all offline testing on a single instrument. Our team of microbiology experts will guide you through the Sensititre range of solutions, please contact us to discuss your requirements.